Marketers are happier and more productive when they're learning. That's a fact: In the recently published Marketer Happiness Study from MarketingProfs, we found that marketers who actively seek out learning opportunities are more likely to feel happier and more fulfilled in both their personal and their professional lives. Another recent study, conducted by LinkedIn, found that "employees who spend time at work learning are 39% more likely to feel productive and successful and 21% more likely to feel confident and happy." But how to make time for all this learning when we're already having trouble keeping our head above water with our day-to-day responsibilities? Podcasts are one of the most efficient ways to learn. They're a learning medium that's easy to access (you don't need any special tools), portable (all you need is your phone), and economical (yeah, free). A podcast not only allows you to learn on the go but also gives you the opportunity to do some of your most efficient multitasking. You can learn while you're driving to work, going for a walk, riding the train, mowing the lawn, exercising, or folding laundry. (Plus, research has shown that exercising immediately after learning something helps improve the long-term retention of those skills.) It's a win-win all around. But where to even start? With the thousands of podcasts available, figuring out where to start can feel a little overwhelming. So I took an extremely formal poll of the MarketingProfs staff (meaning, I sent out an all-staff email) to determine their favorite podcasts. I've compiled a shortlist of some of the most popular podcasts. 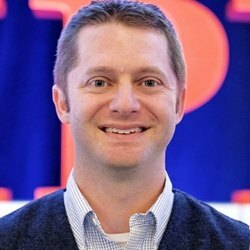 Matt Snodgrass is the director of marketing for MarketingProfs and, after working in highly-regulated industries for the first 10 years of his marketing life, he's having a lot more fun with his creative (and his career) with the MarketingProfs team.